The Teeth Tomorrow® Network is proud to announce that new franchise practices are serving patients in: Asheville and Charlotte, NC: Windsor, CA (Sonoma Valley) and; St. Charles, IL (Greater Chicago Area). The only AACD accredited dentist in western North Carolina, Dr. John Highsmith, DDS adds full arch Teeth Tomorrow® solutions to his practice in General, Cosmetic, Implant & Laser Dentistry serving patients in the Asheville, NC area. Dr. Frank Avason, DDS of Avason Family Dentistry (servings the greater Charlotte, NC area) also holds a Master of Science degree in Periodontology and is a licensed dentist, periodontist, and pharmacist. Dr. Wayne Sutton, DDS and his Sonoma Smiles practice has served as a leader and preferred provider of dental services in Rohnert Park, CA since 2000. Dr. Rick Brar, DMD of Brar Dentistry will be serving patients in the Greater Chicago area from three locations in Elgin, South Elgin, and Sleepy Hollow, Il. These four top-rated practices join a national network of advanced implant dentists (limited to 250 franchisees) that provide proven surgical and prosthetic solutions with the Prettau Zirconia Bridge™. 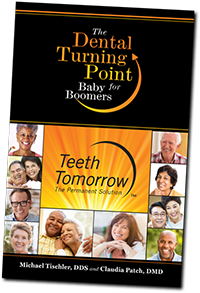 The Teeth Tomorrow® Network is the only US dental franchise dedicated to full arch zirconia as the final product. Network membership is only granted to carefully selected practices committed to providing premium-quality dental reconstruction services. The Teeth Tomorrow® network supports its members with state-of-the-art laboratory expertise from Tischler Dental Laboratory that produces the most patient-unique and durable dental restoration products available anywhere in the world. By joining this nation-wide franchise, practices receive comprehensive surgical & clinical protocols, national branding and advertising, geographic exclusivity, and sales, marketing, and administrative support. Teeth Tomorrow™ dental prosthetics are constructed using 3D dental imaging, customized for each patient’s unique smile. Each Prettau Zirconia Bridge™ is a one-piece, non-porous, chip and stain resistant device, hand painted to create an individualized, natural look, with a 99.8% implant success rate. The growth in the full-arch restoration market is driven by an aging population as well as replacement of single implants, removable bridges and traditional dentures with a permanent, premium solution. Teeth Tomorrow® Network members are certified and authorized to provide arch placements within protected territories defined by each practice’s geographic market. A member practice increased their full arch bridge placements from 18 to over 62, achieving a 300% increase in gross sales from 2013 to 2015. The Teeth Tomorrow Network consists of advanced implant dentists delivering a proven full arch Prettau zirconia solution to their patients. The network doctors utilize the established Teeth Tomorrow clinical, laboratory and marketing protocols, working together to share knowledge and further the success of the Teeth Tomorrow brand, setting the gold standard for top recognized dentists for full arch restoration. The network enables members to expand their premium prosthetic and restoration practice through superior quality devices, inclusive doctor/staff training, an exclusive market within a designated territory, and customized national marketing and advertising support. Network membership is only available to carefully selected Advanced Implant Dentists. Dental Implant Dentists interested in learning more about joining the Teeth Tomorrow® Network can view available territories, and send inquiries to info@teethtomorrow.com or call the Network Support Team at 845-679-1280.